A very special evening as legendary singer-songwriter Charlie Dore returns to Hull (Kardomah94) with virtuoso double bass, piano and cello player Gareth Huw Davies, who has worked with everyone from Chrissie Hynde to Blur’s Graham Coxon. 7.30pm, Saturday 26th January, Kardomah 94. This is the first time Charlie will have shared her double award-winning album Dark Matter with her Hull fans and she’s looking forward to catching up with them for a multi-instrumental evening of ‘intriguingly other’ eclectic folk, bursting with earworms and crunchy lyrics. Expect to have your heart broken and laugh your socks off. And she still reinvents versions of her own worldwide hit, Pilot of the Airwaves – always a crowd pleaser! 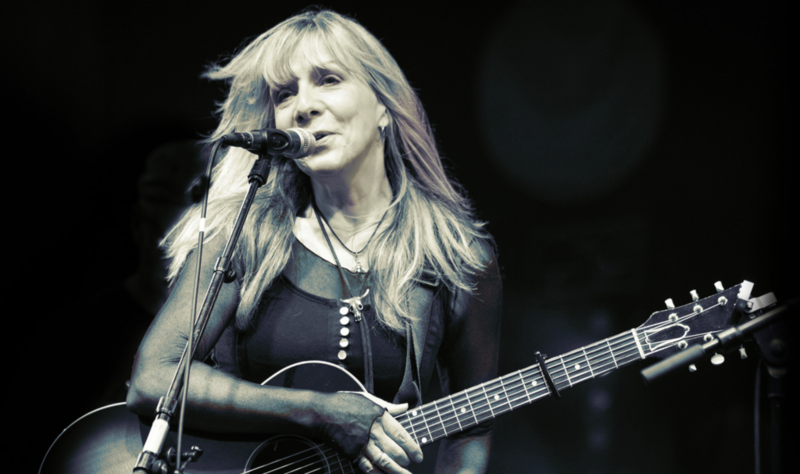 They’ll dip into favourites from Charlie’s past 6 albums as well as sharing stories and original acoustic versions of hits she has written for others, including George Harrison and Jimmy Nail. Charlie has written platinum selling hits for other artists but she still keeps the best songs for herself. And there’s always a possibility of a new angle on her own song, Pilot of the Airwaves – still a national radio favourite. Be the first to comment on "Legendary singer-songwriter returns to the city"